Enter the Escape Room. 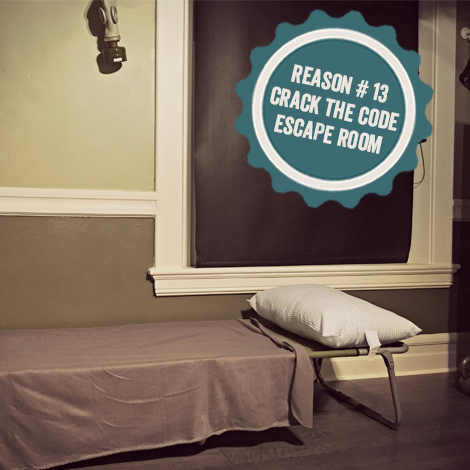 An interactive real life escape game in which you must solve the puzzles in order to escape the room. You have 60 minutes to find the clues, solve the puzzles and make your way to freedom. Choose from two different themed rooms, DaVinci’s Office and The Bunker; with a third room, Asylum, opening in a few weeks. See if you are up to the challenge and crack the code—a fun alternative to the same old birthday party and family gathering. Now taking reservations!